Ask me what I enjoy most about the changes I have made in my life recently and I may tell you that I am enjoying living life at my own pace. I may also tell you that I am having a ball exploring my creativity and developing new business ventures too. But if push came to shove and I had to choose only one thing, it would be something so basic yet so profound. It would be the time I get to spend with my boys and doing things for my boys that I was previously always too busy for. It is the simple things like helping them with their homework, without the arguments and the rushing. It's sitting in the car with nothing more important to do than to watch them train for Rugby or soccer, and it's taking the time to make them afternoon tea without feeling guilty that I should be working on a report or business plan. Because that was my old life, all that rushing around doing stuff, busyness and guilt. In my new life, I refuse to feel guilty about taking the time to bake a cake for my boys because there is nothing more awesome in my opinion than watching my hungry dudes devour something I have made with such love for them. Quite frankly, there is no where else I would rather be when they get home from school, than sitting in our kitchen drinking my coffee and chatting with them about their day. So Guilt, I have two words for you - BITE ME!... 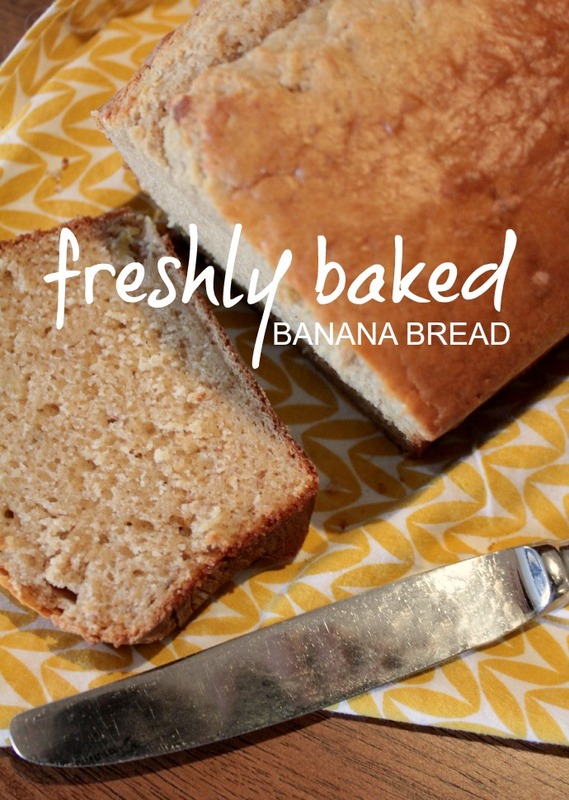 or my banana bread, cause that tastes pretty good too! Preheat your oven to 180 degrees C and grease or line two loaf tins with baking paper. Sift both of your flours into a bowl and stir in the cinnamon and the sugar until they are combined. Add your melted butter, lightly whisked eggs, milk and banana to the bowl and mix until it is all combined. If you are using an electric mixer, mix for approx 2 minutes on med speed. Spoon your mixture evenly into the two tins and then cook for 45 minutes. Then simply enjoy with someone special!